We pushed the door of Abdoul’s workshop during our visit in Fez tanneries. 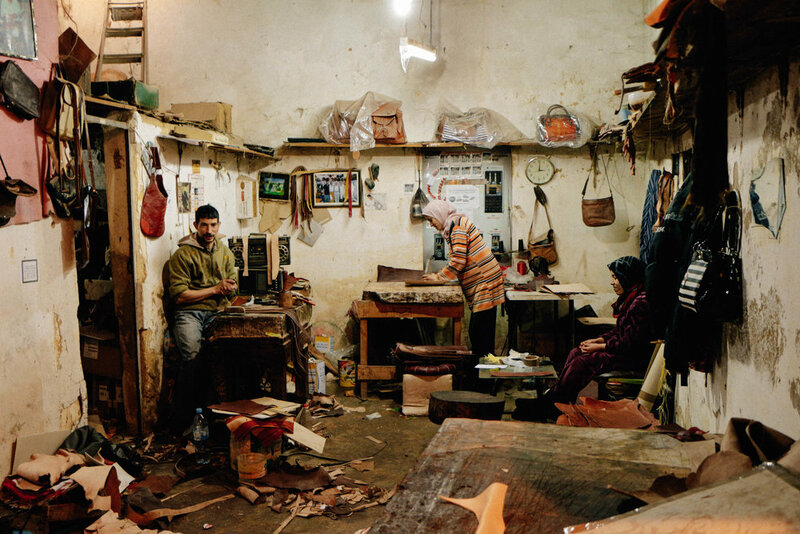 He works with leather in his hand, Asma and Fatima help him with sewing (by hand of course). The attention they have for every article and the pride they draw from it has shaken me. 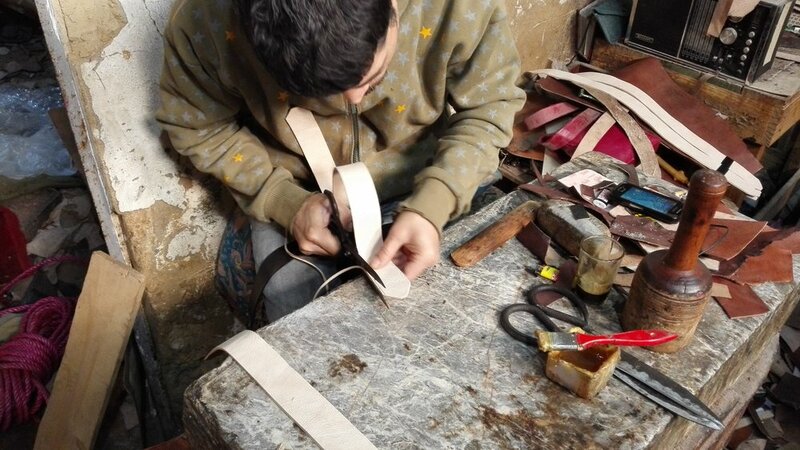 They make leather goods including weekend leather and old kilim bags..
Sign up to our newsletter for special offers, updates and more from punugoods.